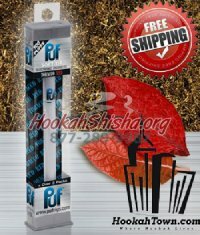 We at HookahShisha.org would like to provide our clients with the safest most enjoyable smoking experience possible. With that being said, we take seriously studies done in the hookah area. Lipoid pneumonia is caused by the inhalation of oils. Butglycerin is not an oil! NEW YORK (CBSNewYork/AP) – Mayor Michael Bloomberg has signed a bill banning the sale of tobacco products to anyone under age 21. The legislation makes New York the first large city or state in the country to prohibit sales to young adults. During a bill-signing ceremony Tuesday, Bloomberg said the law will help prevent young people from experimenting with tobacco at the age when they are most likely to become addicted. “This century, a billion people will die from smoking around the world and we don’t want any of the people who die to be New Yorkers,” Bloomberg said. “That’s the one thing we can do.” The mayor, a former smoker, also signed companion legislation setting a minimum price for all cigarettes sold in the city: $10.50 per pack. The same new law bans retailers from offering coupons, 2-for-1 specials, or discounts. In signing the bills, Bloomberg turned away criticism from some retailers that the measures would be economically harmful and lead to job losses. “This is an issue of whether we are going to kill people,” Bloomberg said. People who raise the economic argument, he said, “really out to look in the mirror and be ashamed.” City lawmakers approved raising the age in a 35-10 vote last month. If sellers violate the law by selling to people under 21, they could be fined up to $1,000 for each violation found in a single day and up to $2,000 for a second violation. Retailers could also lose their license to sell tobacco products. The measure applies to cigarettes, cigars and cigarillos and prohibits the sale of small cigars in packages of less than 20. 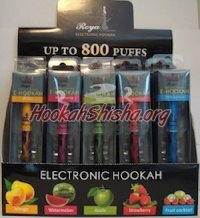 It also includes electronic cigarettes, which come in flavors such as Fruit Loops, gummy bears and bubble gum. Health officials hope that raising the legal purchase age from 18 to 21 will lead to a big decline in smoking rates in a critical age group. A majority of smokers get addicted to cigarettes before age 21 and then have trouble quitting, even if they want to do so. play Bloomberg Signs NYC Ban Of Tobacco Sales To Anyone Under 21WCBS 880's Rich Lamb Reports 00:00 “More than 80 percent of smokers started smoking before the age of 21, so kids get addicted before they realize it. So raising the legal sales age to 21, we hope, will delay many people from starting and maybe prevent some people from starting at all,” New York City Health Commissioner Dr. Thomas Farley told WCBS 880′s Rich Lamb. “Smoking causes heart disease, it causes stroke, it causes lung cancer, it causes chronic lung disease. So most of the major killers increase in risk remarkably from smoking.” The ban has limitations, in terms of its ability to stop young people from picking up the deadly habit. Teenagers can still possess tobacco legally. Kids will still be able to steal cigarettes from their parents, bum them from friends or buy them from the black-market dealers who are common in many neighborhoods. But Farley said the idea is to make it more inconvenient for young people to get started, especially young teens who had previously had easy access to cigarettes through slightly older peers. “Right now, an 18-year-old can buy for a 16-year-old,” he said. Once the law takes effect, in 180 days, Farley said, that 16-year-old would “have to find someone in college or out in the workforce.” Tobacco companies and some retailers had opposed the age increase, saying it would simply drive teenagers to the city’s thriving black market. “What are you really accomplishing? It’s not like they are going to quit smoking. Why? Because there are so many other places they can buy cigarettes,” said Jim Calvin, president of the New York Association of Convenience Stores. “Every 18-year-old who walks out of a convenience store is just going to go to the guy in the white van on the corner.” Calvin also said the elimination of discounts would further feed the drift away from legal cigarettes and toward illicit supplies brought into the city by dealers who buy them at greatly reduced prices in other states, where tobacco taxes are low. Earlier this year, the city marked the 10th anniversary of the Smoke-Free Air Act, which banned smoking in bars, restaurants and other indoor public spaces. 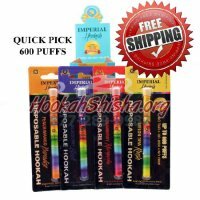 UC pulls plug on electronic cigarettes in systemwide smoking ban>/h1> BERKELEY -- A systemwide smoking ban at University of California campuses includes the controversial electronic cigarette, a tobacco smoking device whose backers claim is safer than traditional smokes. The ban takes effect Jan. 2 and includes smokeless tobacco, or chew. About 10 percent of UC employees smoke cigarettes, and 8 percent of students smoke, according to a fact sheet compiled by the university. The information kit does not say how many use the new electronic cigarettes on UC campuses or in the state, but a lobbying group for the retailers who sell the devices says about 4 million people across the country use them. "We don't know what the long term health affects are," said Josh Moskowitz, director of the Center for Family and Community Health in the School of Public Health at UC Berkeley and a member of the UC committee that wrote the smoking ban. "It's not even clear what ingredients are going into these products, and it's not clear if there is consistent high quality manufacturing from some of these products. Usually, the ingredients are not publicly available. Rather than adopting a potentially risky product, it's safer to ban these products on the campuses as a precautionary approach." The devices use small batteries to heat a flavored liquid until it produces a vapor. The liquid may contain varying levels of nicotine, from zero (flavor only) up to 24 milligrams, but no tobacco smoke is produced. Some brands resemble real cigarettes, glowing on the tip when inhaled. Others look like small mechanical cylinders; users joke they're "Star Wars" light sabers. Thomas Kiklas, co-founder of the Tobacco Vapor Electronic Cigarette Association in Alpharetta, Ga., a group representing e-cigarette manufacturers and retailers, argued that e-cigarettes are less harmful than traditional cigarettes, and they help people quit smoking. He said there are only five ingredients in most e-cigarettes, including nicotine, while there are 6,000 chemicals in traditional cigarettes, making them more harmful. "Once people understand the product, the technology and how less harmful it is, they will embrace it," Kiklas said. "But we're not there yet. I understand when institutions like UC need to place the product in a category at this time. 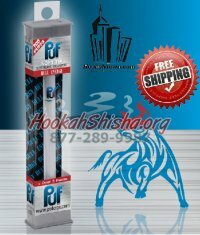 E-cigarettes have evolved to be a reliable product, and people are using it to transition away from tobacco cigarettes." Moskowitz said the fact that e-cigarettes are allowed to be sold, when nobody knows for sure what the health effects are, points to a bigger problem. "We allow companies to unleash these products on the public that are potentially dangerous, and the onus is not on them to prove the products are safe," Moskowitz said. "The onus is on the medical establishment to prove they are harmful. It's clearly messed up. Getting the word out on some of these health risks is extremely difficult." Moskowitz said the ban on all smokes across the system will be helpful for older campus employees because it will make it easier for them to quit. Smokers know they can't smoke at work, and they won't be around other people who are smoking. And for college students, who are at risk for taking up smoking, the ban will remove the incentive to start smoking for social reasons like fitting in and looking cool, he said. "It will be particularly helpful for international students, who are coming from countries where they don't have these counter-norms against smoking that we already have here," Moskowitz said. The UC system, in addition to banning smoking, is highlighting smoking cessation counseling covered in its health plans, faculty and staff wellness programs, and at campus health centers. Staff writer Angela Hill contributed to this story. Contact Doug Oakley at 925-234-1699. Follow him at Twitter.com/douglasoakley. 'Resist urge to control e-cigarettes', WHO told COMMENTS (782) By Jane Dreaper Health correspondent, BBC News Some doctors argue it is too early to know whether benefits outweigh potential risks, as Jane Dreaper reports Continue reading the main story Related Stories E-cigs 'undermine smoking ban' fear The e-cigarettes phenomenon E-cigarettes 'help smokers to quit' A letter signed by more than 50 researchers and public health specialists is urging the World Health Organization (WHO) to "resist the urge to control and suppress e-cigarettes". The letter says the devices - which deliver nicotine in a vapour - could be a "significant health innovation". But the UK's Faculty of Public Health says it is too early to know whether benefits outweigh potential risks. The WHO said it was still deciding what recommendations to make to governments. Jump media playerMedia player helpOut of media player. Press enter to return or tab to continue. The open letter has been organised in the run-up to significant international negotiations on tobacco policy this year. Supporters of e-cigarettes, who argue the products are a low-risk substitute for smoking, fear they might become subject to reduction targets and advertising bans. line break Graphic: What's inside an e-cigarette? 1. On some e-cigarettes, inhalation activates the battery-powered atomiser. Other types are manually switched on 2. A heating coil inside the atomiser heats liquid nicotine contained in a cartridge 3. Liquid nicotine becomes vapour and is inhaled. The 'smoke' produced is largely water vapour. Many e-cigarettes have an LED light as a cosmetic feature to simulate traditional cigarette glow. line break There has been a big growth in the market for e-cigarettes, but the Department of Health says they are not risk-free. Critics say not enough is known about their long-term health effects. A recent report commissioned by Public Health England said e-cigarettes required "appropriate regulation, careful monitoring and risk management" if their benefits were to be maximised. The letter has been signed by 53 researchers - including specialists in public health policy and experts such as Prof Robert West, who published research last week suggesting that e-cigarettes are more likely to help people give up smoking than some conventional methods. Continue reading the main story “ Start Quote We are deeply concerned that classifying these products as tobacco will do more harm than good” Open letter to the WHO Some of the signatories work on research into tobacco science and smoking cessation. Three were involved in advising the National Institute for Health and Care Excellence (NICE) on its guidelines about reducing the harm from tobacco. 'Perverse effect' The letter says: "These products could be among the most significant health innovations of the 21st Century - perhaps saving hundreds of millions of lives. "If regulators treat low-risk nicotine products as traditional tobacco products... they are improperly defining them as part of the problem. "Regulators should avoid support for measures that could have the perverse effect of prolonging cigarette consumption. 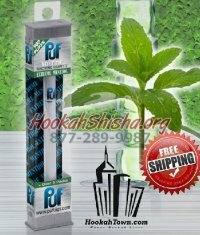 "We are deeply concerned that the classification of these products as tobacco will do more harm than good. "The potential for tobacco harm reduction products to reduce the burden of smoking-related disease is very large." Woman smoking an electronic cigarette The organisers of the letter quote a leaked WHO document that refers to e-cigarettes as a "threat... which could result in a new wave of the tobacco epidemic". The WHO treaty on tobacco control currently covers 178 countries and 90% of the world's population. E-cigarettes are battery-powered devices that mimic the experience of smoking. Users inhale a vapour from a heated liquid that contains a concentration of nicotine. Prof West, of University College London told the BBC e-cigarettes should be "regulated appropriate to what they are" and that they are "orders of magnitude safer" than tobacco cigarettes. He called for "bespoke regulation", including banning sales for under-18s and having marketing directed at those who already smoke. Continue reading the main story “ Start Quote We need to weigh up the benefits of fewer people smoking against the risk of electronic cigarettes leading to more people starting to smoke” Prof John Ashton Faculty of Public Health A WHO spokesman said: "WHO is currently working on recommendations for governments on the regulation and marketing of e-cigarettes and similar devices. "This is part of a paper that will be submitted to the parties of the WHO Framework Convention on Tobacco Control later this year. "We are also working with national regulatory bodies to look at regulatory options, as well as toxicology experts, to understand more about the possible impact of e-cigarettes and similar devices on health." The British Medical Association (BMA) has called for stronger regulation of the devices in the UK. Dr Vivienne Nathanson, the BMA's director of professional activities, told BBC Breakfast there was evidence that children who had never smoked were starting to use e-cigarettes, having been influenced by marketing campaigns. "Rather like cigarettes in the 50s and 60s, we really need to look at that and, I believe, ban it (advertising), to stop them advertising in a way that attracts children," she added. Prof John Ashton, president of the Faculty of Public Health, said he was also concerned about children using e-cigarettes. 'No uniformity' "We need to weigh up the benefits of fewer people smoking against the risk of electronic cigarettes leading to more people starting to smoke, particularly children," he said. Prof Martin McKee, of the London School of Hygiene and Tropical Medicine, said: "The health community is completely divided on the subject of whether electronic cigarettes are safer than real cigarettes. "While the signatories to this letter are clearly supportive, the World Health Organization, correctly, bases its decisions on the best available evidence." He said it would be "premature" to advocate the use of e-cigarettes until their safety had been established. The Welsh government wants to restrict the use of e-cigarettes in enclosed public places, because of concerns that they normalise smoking. Richard Evans, vice-chairman of the Welsh Pharmacy Board, which is part of the Royal Pharmaceutical Society in Wales, believes they should be regulated in the same way as traditional cigarettes. He said: "At the moment the products that are on the market - we don't know what standard they are. They can vary from product to product - there is no uniformity at all.